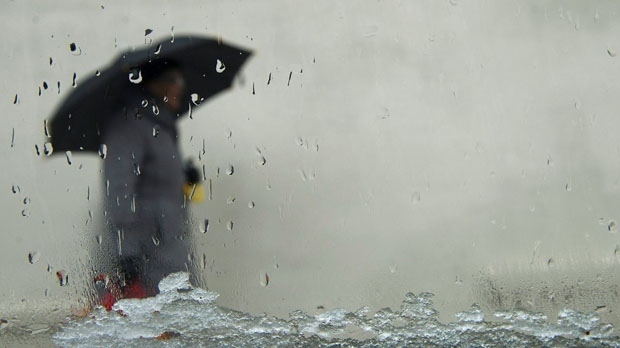 Environment Canada issued a freezing rain warning for Waterloo Region and the surrounding area on Wednesday morning. We can also expect freezing drizzle into Thursday morning. Commuters will have a difficult time on the roads most of the day. As a result of the weather several school boards have cancelled school for the day including in Waterloo Region, Wellington and Dufferin County, and the Brantford area. A pedestrian walks with an umbrella in freezing rain in this file photo.